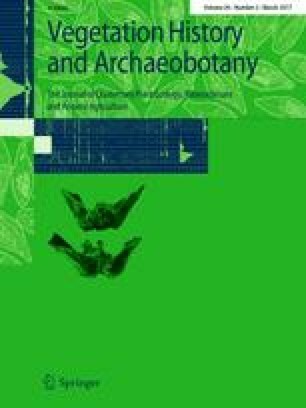 A systematic review of archaeological and palaeoenvironmental records of cannabis (fibres, pollen, achenes and imprints of achenes) reveals its complex history in Eurasia. A multiregional origin of human use of the plant is proposed, considering the more or less contemporaneous appearance of cannabis records in two distal parts (Europe and East Asia) of the continent. A marked increase in cannabis achene records from East Asia between ca. 5,000 and 4,000 cal bp might be associated with the establishment of a trans-Eurasian exchange/migration network through the steppe zone, influenced by the more intensive exploitation of cannabis achenes popular in Eastern Europe pastoralist communities. The role of the Hexi Corridor region as a hub for an East Asian spread of domesticated plants, animals and cultural elements originally from Southwest Asia and Europe is highlighted. More systematic, interdisciplinary and well-dated data, especially from South Russia and Central Asia, are necessary to address the unresolved issues in understanding the complex history of human cannabis utilisation. The research was financially supported via a postdoctoral fellowship from the Fritz Thyssen Foundation (Germany) to T. Long. We thank Ernest Small and an anonymous reviewer for their constructive comments on an earlier version of this manuscript.